Gone but not forgotten! Here’s a story that appeared online today about some of the talk show hosts from the 90’s. They left out a lot of other ones though… Remember Gerlado Rivera, Jane Whitney, Gordon Elliott, Queen Latifah, Montel Williams, Rosie O’Donnell, Leeza Gibbons, Sharon Osborne, Rachael Ray, Rolonda Watts, Mark Walberg, who did I leave out? Jenny Jones is not me! Jenny Jones crashed my website! But it’s not me. 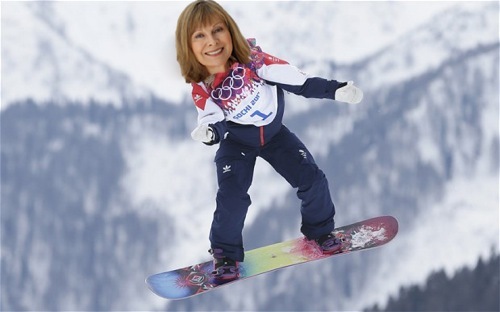 The other Jenny Jones is a snowboarder from Britain who just made history at the Sochi Winter Olympics by winning Britain’s first ever medal on snow. Congratulations to the other Jenny Jones. Her name was trending on Yahoo and when people clicked, it went to me and overloaded my website.